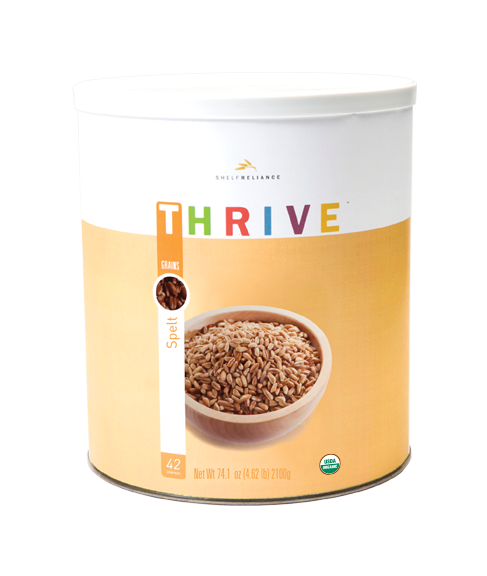 THRIVE Spelt is a whole grain that is USDA-certified organic and promotes a healthy lifestyle. Spelt can be boiled and eaten as a side dish or ground into flour for delicious and unique homemade bread. You can also try tossing cooked spelt into salads and cold pasta for a flavor filled crunch. Bring 1 cup Spelt to a boil with 3 cups water and 1/4 tsp. salt. Reduce heat and simmer covered for 50-60 minutes. Drain remaining water. Spelt is an ancient grain related to wheat, and it can be used the same way, either ground into flour or cooked and added whole to breads, soups, and salads.